Stolen classic car KERIKERI — STOLEN from Bay of Islands Golf Club 27-06-12 1966 Ford Lotus Cortina Mk1 White with green stripe. Airport Ownership To Be Reviewed KERIKERI — The Far North District Council may take back ownership of the Bay of Islands Airport at Kerikeri from its commercial trading company Far North Holdings Ltd.
Market sector expansion planned by new head of Bayleys in Kerikeri KERIKERI — Growing the capabilities of real estate sales people in the Bay of Islands, Kerikeri and Far North regions, along with increasing personnel resources, are two of the key aims for the new head of property agency Bayleys in Kerikeri, Chester Rendell. Consumer Trust welcomes Meridian bill change KERIKERI — The Top Energy Consumer Trust, the body that holds the shares in Far North electricity generator and lines network operator Top Energy on behalf of the region’s power consumers, has welcomed moves by Meridian Energy to itemise the cost of the different elements that comprise their monthly power bills. Emergency plan proposed for Kerikeri and Waipapa KERIKERI — Kerikeri and Waipapa residents are being encouraged to develop a community-based plan to provide a pathway through natural disasters. Maintenance Forces Temporary Shutdown of Water Main In Kerikeri KERIKERI — A maintenance shutdown of part of the reticulated water network in Kerikeri will leave some homes and businesses without water during the early hours of Wednesday morning. Tonga and France will be familiar foes KERIKERI — It will be a case of friends facing friends when Tonga line up against France on Saturday in Wellington. Tongans take to sea and sky KERIKERI — Skydiving, parasailing, fishing and kayaking followed by a traditional Sunday Tongan feast. Tonga's Vaiomounga relishes world stage KERIKERI — Tonga's Sione Vaiomounga says being at Rugby World Cup 2011 has made him a better player and he hopes the experience will help propel him from island club rugby to a professional career. Horse feed mineral research wins NRC award KERIKERI — A 16-year-old Kerikeri High School student’s study into iodine levels in horse feeds and supplements has earned her this year’s Northland Regional Council ‘Excellence Award’ at the Top Energy Far North Science and Technology Fair. 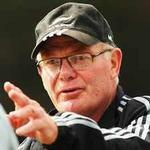 'Scrum doctor' boosts Canada's confidence KERIKERI — Canada have always prided themselves on producing strong forwards, but scrum coach Mike Shelley is confident intensive camps will have boosted his pack's technical finesse further for Rugby World Cup 2011. New location and new personnel for expanded Bayleys Kerikeri office KERIKERI — Leading real estate agency Bayleys Kerikeri is set to become the first property company in town… literally. Woodland Park a Hit With Dog Walkers KERIKERI — It’s a little piece of English woodland only a few minutes drive from Kerikeri’s central business district. Clan lab found in Northland KERIKERI — Two people are facing drugs charges after police located a clan lab near Kerikeri yesterday. Government Subsidy Welcome But it's Not The End of The Road KERIKERI — It has taken its time but the government has finally come to the party with subsidy approval for a contribution of up to $7.315 million towards an expand wastewater service in the Kerikeri area. Adventure fisherman's prized catch on the market KERIKERI — Extreme sports fisherman and TV presenter Matt Watson, the man who shot to fame catching a marlin with his bare hands and went on to establish a popular TV show, is putting the home where it all began on the market. Police warn about EFTPOS card skimming scam KERIKERI — Police in Kerikeri are warning of a sophisticated EFTPOS card skimming scam which may have been used elsewhere in the country. Kerikeri Police seek driver of stolen vehicle KERIKERI — Police are seeking the driver of a stolen 4wd vehicle that rammed a marked police patrol car about 7.00 am this morning on Waimate North Rd, Kerikeri.